As 2014 winds down, let’s look back on the year that was in downtown Phoenix. 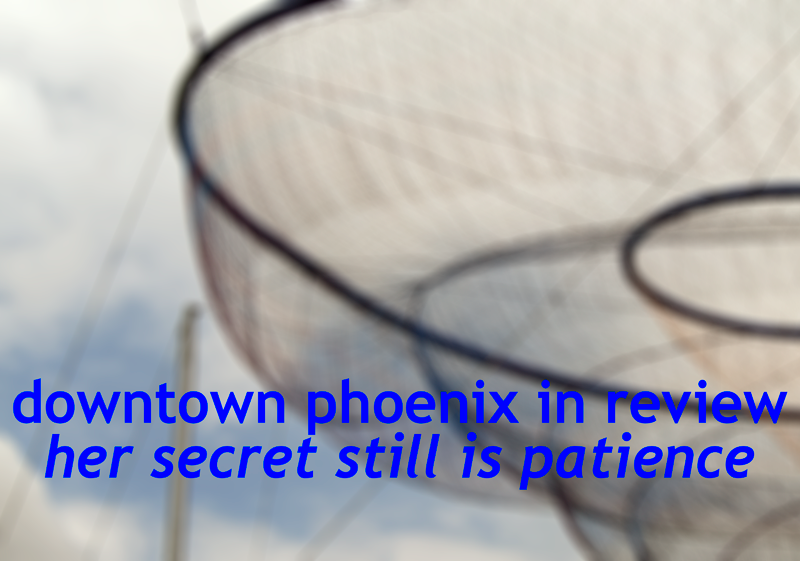 In this third post of four, I’ll look at downtown Phoenix’s threats. 2. Thinking regionally. This is a major mantra of a few of those in positions of power and influence in Phoenix: that we are better off as a region than as individual cities. While that sounds idyllic and certainly nice, in practice, it means that other cities run laps around Phoenix for economic development. Downtown Tempe, for instance, is growing tremendously. No more evident was this than at last month’s PlanPHX community gathering. I attended the economic development session and one could have easily thought one was in something from the State of Arizona or metro-wide economic development organizations. It took a full half hour to get to Phoenix; I was almost at the point of interrupting their regionalism reverie to say, “I am sorry, but I thought this was a session on improving Phoenix’s economy, not the state’s or other cities’ economies.” The longer we think that we will succeed in Phoenix by letting other cities run laps around us, the more irreparable Phoenix’s economic future will become. 3. Future of Phoenix Suns and Phoenix Mercury in downtown Phoenix. In the wake of the electrical fire at the downtown Phoenix Sheraton Hotel, owned by the City of Phoenix but operated by Sheraton, news came out that the City was taking a financial loss on the hotel’s operation. It emerged that the City was using funds set to finance improvements to or a potential replacement for the 22-year-old U.S. Airways Center to make up the balance. With the facility now called Talking Stick Resort Arena, after the casino resort operated by the Salt River Pima-Maricopa Indian Community (east of Phoenix) and with the expectation that private sports teams must have publicly funded and operated sports stadia, one must wonder if the Suns’ and Mercury’s days in downtown Phoenix will come to a close in a few years’ time. 4. Failing to capture “back-to-the-city” movement happening nationwide. In 2013’s strengths list, I wrote that there was a nationwide renewed interest in downtowns and urban areas. Unfortunately, that renewed interest has not really been captured here in Phoenix. The cities of Tempe and Mesa have run laps around Phoenix vis-à-vis economic development. Everything here is labeled as “the Valley” or “Arizona” despite being in or for Phoenix. The local NHL team abandoned the name Phoenix Coyotes for the ambiguous “Arizona Coyotes” for the start of this season. The 21st century global marketplace will be based on urban: urban areas, urban activity, and urban economics, not states or broad regions. 5. More “brain drain” from Phoenix. There were several notable departures from Phoenix this year and one more has been announced for early 2015. Whatever their reasons for leaving (and there is no wrong reason to depart Phoenix), we wish them the best on their new adventures. This doesn’t include the hundreds and thousands of those whose departures go unnoticed or unheralded. For Phoenix, though, this is something that desperately needs to be addressed: why are people leaving and what structural things can be done to make the case for people staying in this place? Great job, Eddie, especially on the threats part. I think you have done a good job on both the advances and setbacks front. 4) Lack of “urban values” among Phoenix residents and the “Big Sort” making AZ increasingly red. I know this can seem daunting. The apartments at McDowell & Central don’t bother me that much. Better than an empty lot for decades. I’d have rater it be something else, but see point No. 1 above. Having lived in downtown Denver, I don’t see any resemblance at all. Anyway, I leave you with…shade trees, plant them everywhere. And best wishes for the holidays. Thanks for your commitment to Phoenix.